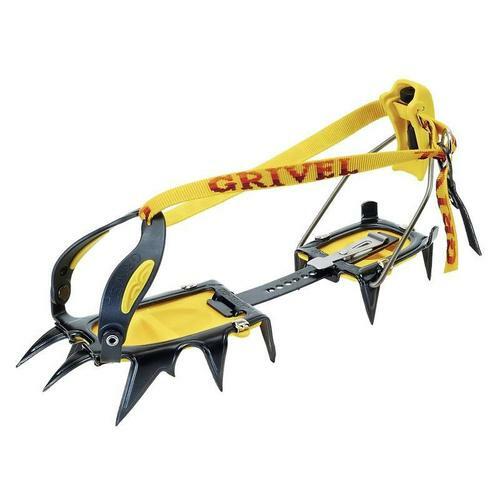 The Grivel G12 New Matic is a classic 12 point crampon designed for general mountaineering, mixed climbing, and less extreme waterfalls. The entire G12 New Matic crampon is manufactured from Chromoly steel using new technology called "3 Dimensional Relief Stamping (3DRS)", which increases the strength and rigidity, not only of the crampon's frame, but of each individual point as well. The bindings are made in dual-component plastic, with the black part being stronger and able to bear the strain, and the yellow part being softer to increasing adherence to the boot. The crampons are fully adjustable by hand, without tools with one size fitting all. They are easily collapsed for transportation too. The ratio between quality, strength and weight is quite impressive; G12 is a true all purpose crampon. 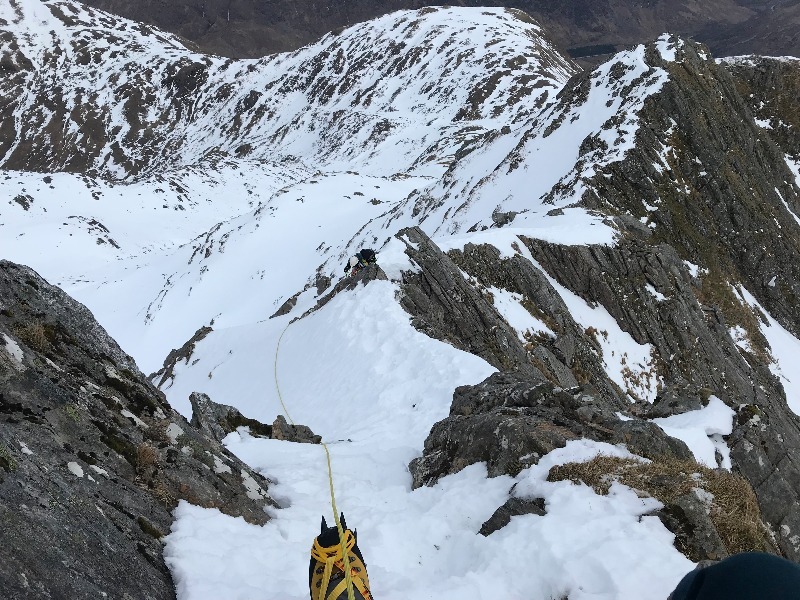 Very pleased with the crampons - easy to adjust and very well made. These are my second pair of G12s, so, obviously, I like them. They have very long points, making them excellent on snow, where they will always find good grip. Slightly shorter points might be better for mixed stuff, although I've never found this to be a problem. They are well made and solid. There is plenty of metal to allow for wear and sharpening. I've used they with Scarpa Manta Pros and La Sportiva boots, both B2s. They have fitted will in both cases and were easy to fit and remove. They have never fallen off or needed tightening. Got these to replace my ancient Salewa crampons with neoprene straps! What a transformation - easy to get on and off and feel really secure. The anti-ball mechanism works really well.